Happy Tuesday! Today is going to be a long day for me at work and will be a tough day for DH too. He's going to have to watch LO at his office while he's working, and I know it'll be hard for him to focus. Aside from that we have a few home repairs that he's managing, including replacing our rooftop patio door. I thought it was going to be an easy job but it's more money than I anticipated. Why is it home repairs always cost more than you expect? 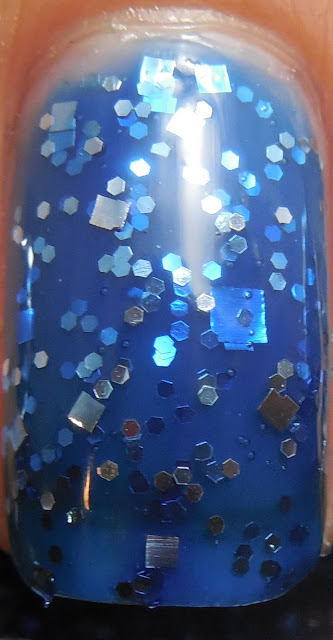 To finish my installment of the reformulated collection that Hare released recently, I have for you Star Tropics, a lusciously deep blue jelly with silver square and miniglitter. I decided not to layer this over another base color and applied it alone using four coats. I could have probably gotten away with three coats IRL, but did four for the camera. There's something about a blue jelly that I couldn't corrupt with a basecolor - blue jellies are always the squishiest looking of all the jellies. I didn't have any trouble with application despite the thicker than normal consistency. The glitters didn't drag or pool as long as I waited a little longer than usual in between coats. I finished with a layer of NYC GSC. I want to bite that jelly! I love how the glitters spread out evenly on the nail without any clumping of the larger glitters together. 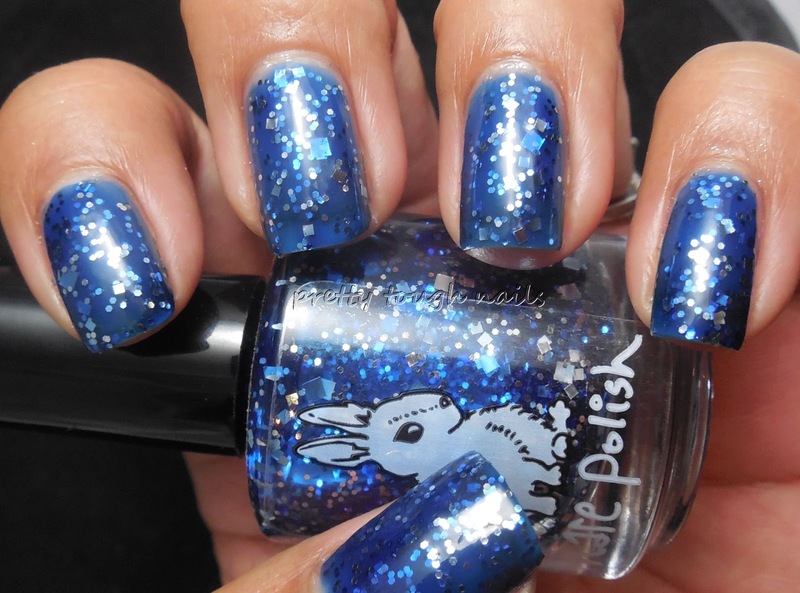 In daylight, this mani sparkles like crazy as the silver glitters reflect light. I though Star Tropics was suppose to be an interpretation of the stars in the endless night skies of the tropics, but I think I'm wrong - a quick google comes up with a wiki of a Nintendo video game. Hmm. 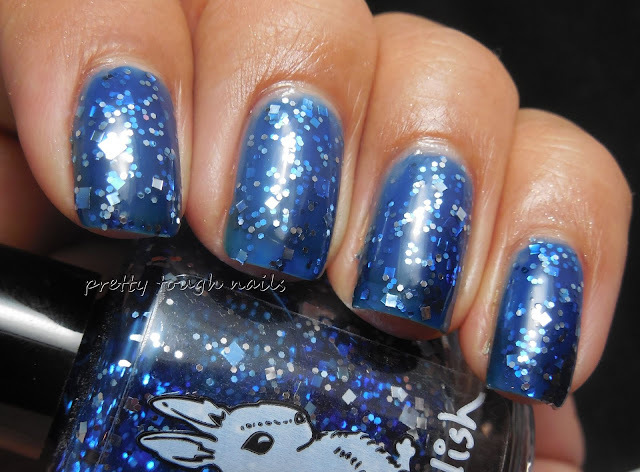 In any case, this will definitely be my go to glitter blue jelly! Thanks! four coats took a lot of patience! This is so gorgeous! I'm loving just about every Hare polish I see. I only have two in my collection but I want most all of them! It's one of my favorite indies!! The formula is sometimes too sheer, but that's easily remedied. Her colors are TDF!